Thorne, S., Hellermann, J., Jones A. & Lester D. (2015). 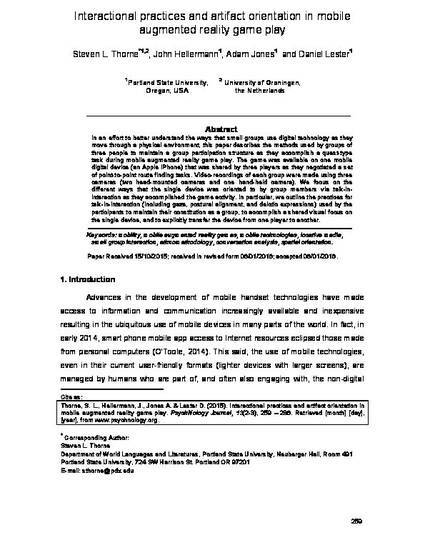 Interactional practices and artifact orientation in mobile augmented reality game play. PsychNology Journal, 13(2-3), 259 - 286.